If we were to recommend a video game that would make you feel like a boxer, it would be Survios’ Creed: Rise to Glory. Thanks to VR and motion technology, your punching and blocking in the real world translate really well into the virtual world. You’ll sweat and move around, but thankfully you won’t get knocked out in real life. Players get to choose different boxers to play as in the exhibition mode, and soon they’ll get two more options. 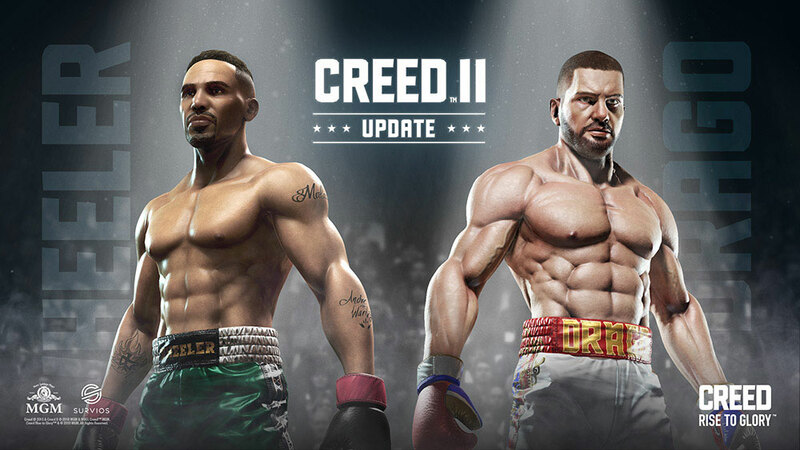 Survios has announced that on November 27, characters from the upcoming film, Creed II, will be available in the FreePlay and PvP mode like Viktor Drago and Danny “Stuntman” Wheeler. In Creed II, Adonis Creed (Michael B. Jordan) will be going up against Viktor Drago, the son of Ivan “The Siberian Express” Drago. Ivan is responsible for the death of Apollo Creed, Adonis’ father. In addition, he’ll also face Danny Wheeler, his Delphi Gym rival. Not only will you get to fight against the two Creed II characters in Freeplay, but you can play as them in PvP as well. Creed: Rise to Glory’s Creed II update will be available on PlayStation VR, Steam, Oculus Home on November 27, 2018. The post Creed: Rise to Glory to add Viktor Drago in free Creed II update appeared first on Nerd Reactor.